From the instinct dinosaur simulator game we are here to provide you the best dino sims game ever with online multiplayer concept. 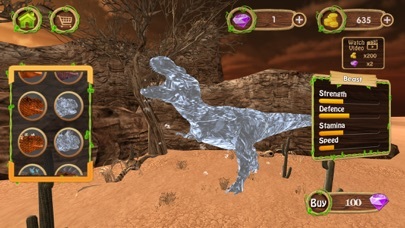 Use your special attack powers like energy ball, huge fire ball and ice attacks in arctic island and jungles with dinosaur fighting and hunting in battlegrounds. 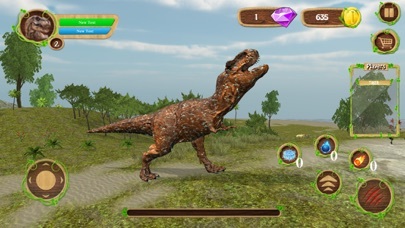 Amazing 3D jurassic environment with dinosaur online simulator game. 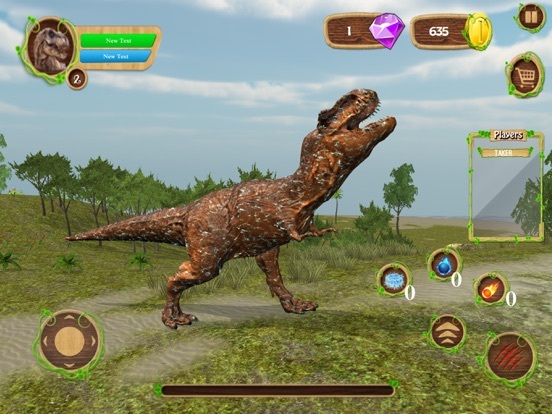 and become the strongest of the t rex and survive in this simulator In dinosaur games 2018 huge collection of wild dinos like t-rex, tyrannosaur rex, stegosaurus, diplodocus, raptor, Spinosaurus and triceratops etc for ultimate fighting and rampage action This RPG sim game based on this summer’s epic action-adventure. 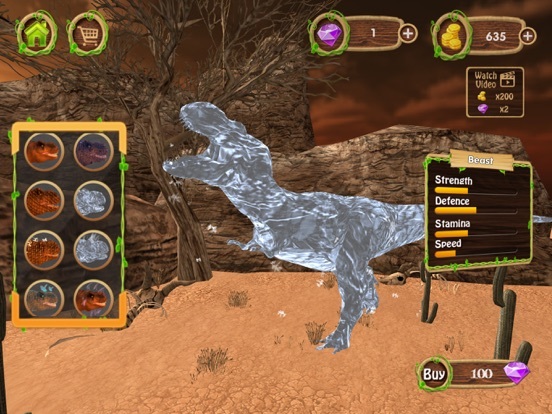 Unlock to play some of the most frightful and brutal wild dinosaurs by completing levels and earning scores. 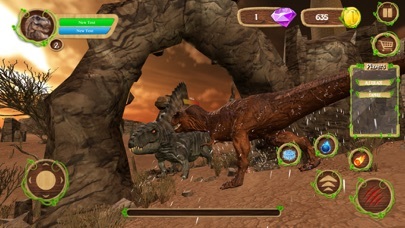 These merciless and multiplayer t rex world vicious Jurassic creatures will give you a power in successfully completing more levels and having a thrilling experience. 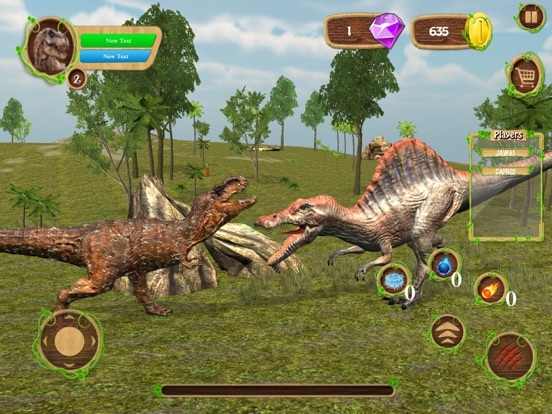 Play with friends in online fighting games and challenge real players to epic dino battles with dinosaur games simulator. Control your own customizable tyrannosaurus rex dinosaur and raptor. Collect all the magic & attack elements by gaining more health and craft your special abilities. Provided the game with high quality graphics and a 3D map to explore the Jurassic open world. 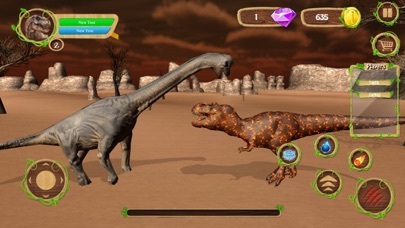 Challenge other players in real time dinosaur fighting battle mode. 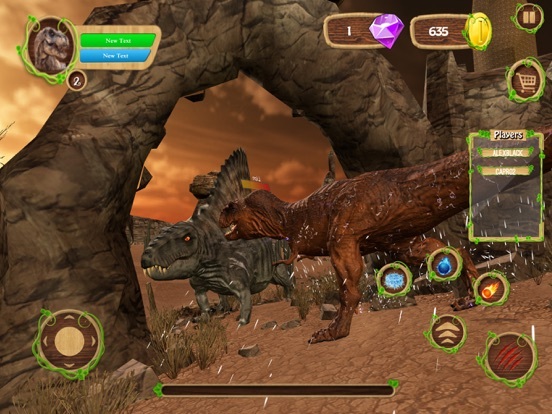 Be the last dinosaur t rex or raptor to survive in the multiple locations. Let’s see how long you can survive and how strong can you be in best of dinosaur simulator games. 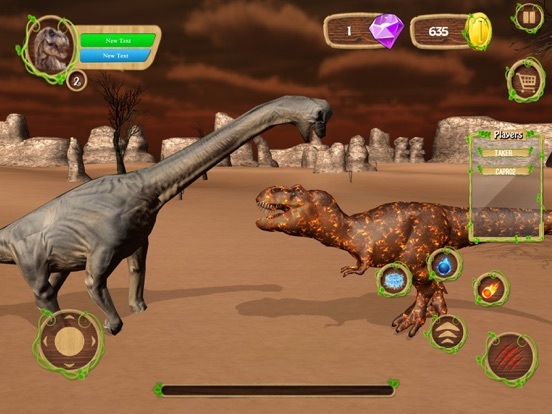 Features of our Dinosaur Online Simulator Game: REALISTIC SIMULATOR EFFECTS - Revive your gameplay by watching ad or using coins to avoid the wastage of your effort . 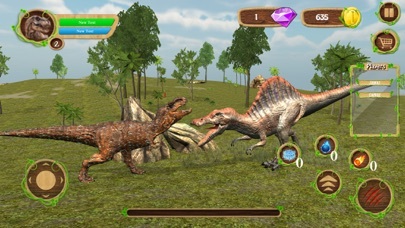 - Head to head wild dinosaur fighting, hunting & battle UPGRADABLE CHARACTERS -Make more coins by watching ads or by purchasing gems to Unlock the more ultimate dinosaurs with lush and stylish skins to make more thunder attacks by earning coins and then explore the Beautifully designed 3D Jurassic open world map. 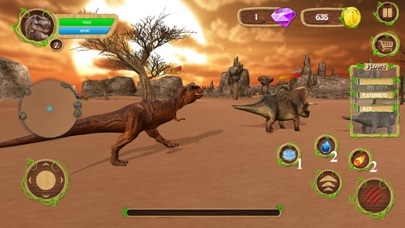 DEADLIEST BATTLES - Unlock the mysterious dinos to make magic attacks like fire ball, energy ball & more FULL OF ACTION - T-rex, dino, raptor, spinosaurus, tyrannosaurs and triceratops like categories to make more action. 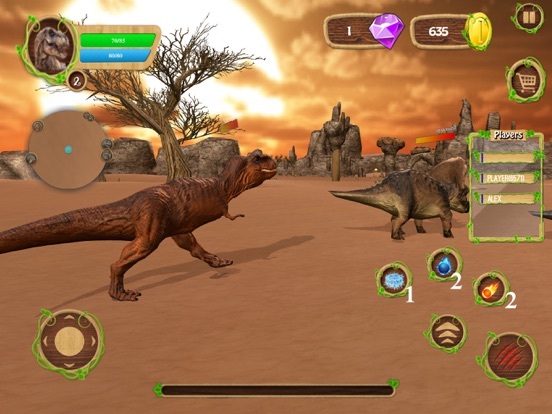 - Do hunting of other & gain energy to improve health bar MASSIVE REALISTIC 3D ENVIRONMENT - Have full thrill on arctic island, desert & lush green forest in dino open world online hunters 3d. MULTI PLAYERS MODE: - Play with as many as you can with your online companions to prey together.